Go deeper into topics that take business planning to the next level. Learn the five best practices used by companies that have successfully harnessed business intelligence (BI) to gain deep, actionable insights into performance. Based on the findings of a landmark report by Dresner Advisory Services, this white paper will help you launch and drive a successful BI initiative at your organization. Every business decision depends on forecasting the consequences of the decision. Explore the challenges in creating accurate forecasts, and learn how to overcome bias and oversimplifying the truth. Certain methods incorporate more information into formulating predictions, which improves the accuracy of business decisions. 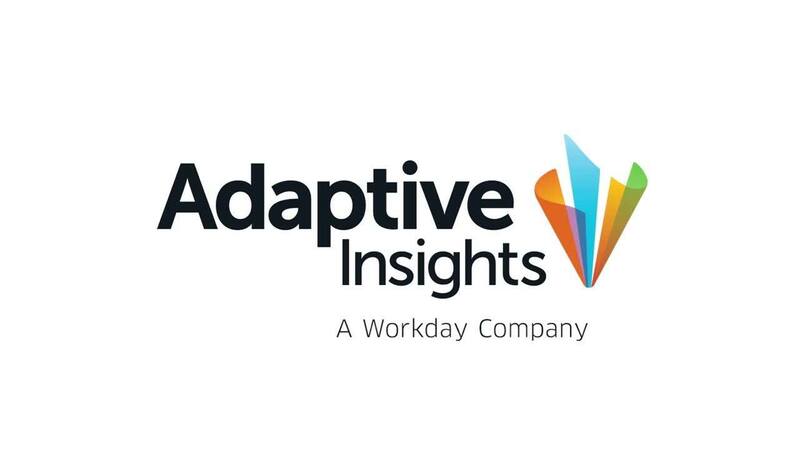 Unleash the full power of Adaptive Insights' planning, budgeting, and forecasting software for cash flow projection, sales planning, and balance sheet forecasting. With these tips and strategies you can reduce cycle times up to 90%. Read how dashboards help finance executives track operational metrics, as well as make informed, strategic decisions under time-critical situations. Modern CFOs oversee important decisions, so they need the right tools and support, including a supportive finance team and visibility into operational and financial data. Read how to master the art of “quantation”—that is, how to present numerical information effectively. This checklist from Randall Bolten, author of “Painting with Numbers,” covers best practices—from text treatments to concept organization to document layout—to ensure the numbers make sense to your audience. Gauge and improve your budgeting skills with the help of this excerpt from “Manager's Toolkit: The 13 Skills Managers Need to Succeed” (Harvard Business School Publishing). Fundamentals of the process and budgeting terminology are presented with charts and graphs to illustrate key concepts. Learn how to motivate and inspire teams with data rather than bore and confuse them. One approach to chart the way through information: Start with a message, follow with evidence. These tips provide ways to effectively communicate the meaning of data. Learn about the rise of the strategic CFO in today’s breakneck business environment. Corporate leaders who most quickly align business strategy with fast, informed decisions win the day. Still, many firms are weighed down by outdated business systems, which is why cloud technology is so critical to running today's companies. Consult this brief checklist written by Randall Bolten, author of “Painting with Numbers: Presenting Financials and Other Numbers So People Will Understand You,” as a guide to create a “natural P&L,” a cornerstone of management reporting in every organization. Nearly all respondents to a CFO research survey agreed better use of IT would boost business performance, but hurdles remain to fully capitalizing on the cloud, big data, and mobile technology. Peer into the mindsets of 112 finance executives from small and midsize companies on the competitive use of information technology. Learn about the most costly reporting mistakes and how to avoid them. A white paper from BPM Partners discusses the high cost of excess resource requirements, decision-making without adequate information, and missed opportunities due to lack of reporting capabilities. Read about effectively applying your analytical results to business issues. Many executives are making critical decisions based on data they do not fully understand. Financial managers can help bridge the gap between understanding data and making data-driven decisions. Learn how to pick up the pace of your annual planning process—or eliminate it for the better. The typical annual budgeting process is too slow for a volatile and changing business landscape. Finance leaders can pick up the speed, or eliminate the annual budget, by using rolling forecasts or scenario planning. Survey results show that nearly half of global CFOs expect to play a more strategic leadership role. This summary report of the research highlights inhibitors to success, current technology challenges, and areas for future investment. Read about using visual analytics to access information in near real time. Organizations are finding it increasingly difficult to deal with increasing volumes of data and promptly distribute information to the right people at the right time. These challenges give rise to an opportunity for innovation in analytics. Read intriguing expert insights from the Harvard Business Review that demystify forecasting. The goal of forecasting is not to predict the future, but to tell you what you need to know to take meaningful action in the present, claims the author, who outlines approaches to develop greater forecasting discernment. Get an on-the-money analysis of budget process woes from the Harvard Business Review. Most agree the process takes too long, costs too much, and adds too little value. That said, the budget process will only move into the 21st century with a new set of management processes and leadership style. Read about the unique challenges of achieving excellent corporate performance in the manufacturing sector. Discover how taking planning and performance management out of spreadsheets and into the cloud offers greater agility to successfully conduct business across multiples sites, divisions, and operating locations. Read how "speed of insight” in finance functions accelerates strategic decision-making. Also known as “time to action,” the speed of insight involves more than number-crunching. Finance tools must move beyond a P&L statement and get to the real drivers of innovation and change, which are necessary to drive growth. Discover strategies to move beyond number-crunching and improve the budgeting process. Bottom-up budgeting focuses on earnings and short-term numbers. But budgeting used as a tool to introduce and reinforce a growth mindset results in wiser investments that drive long-term revenue, cash flow, and shareholder value. Read about making dashboards a vital part of the management process. Mark Lorence, director at Palladium Group, Inc., provides clear-cut, intelligible definitions of dashboards and scorecards and how they work together in a well-oiled performance management system. Learn what to consider when implementing dashboards in a performance management system. An article by Mark Lorence, director of Palladium Group, outlines three steps for a successful dashboard rollout: Establish an accurate data pipeline for populating analytics, allow for iteration, and test for data disparities or bugs. Scenario planning refocuses executive assumptions and management views, promotes organizational learning, and models the business environment as nonlinear. The results? A much clearer view of future business opportunities. The planning experience at Shell and a seven-step process are outlined here. Finance chiefs offer a unique perspective in their organizations by providing a big picture view of financial data and a granular view of operations. Learn what the top CFOs are doing to drive better decision-making. Find insights to make a success of activity-based budgeting in this excerpt from "Time-Driven Activity-Based Costing: A Simpler and More Powerful Path to Higher Profits." Effective activity-based budgeting gives managers much greater spending control over their cost structure, particularly over fixed costs. Read why in this article by Peter Horvath, Europe's leading authority on management accounting, controlling, and budgeting. Learn why static budgeting is inefficient, ages too quickly, and is out of sync with the strategic plan. Learn how forecasting falls apart and what to do when it does. The discipline has advanced over the years, but managers must learn from history what they can and cannot predict, and develop plans that are sensitive to surprises. Instead of seeking predictability, it’s better to prepare for different contingencies.